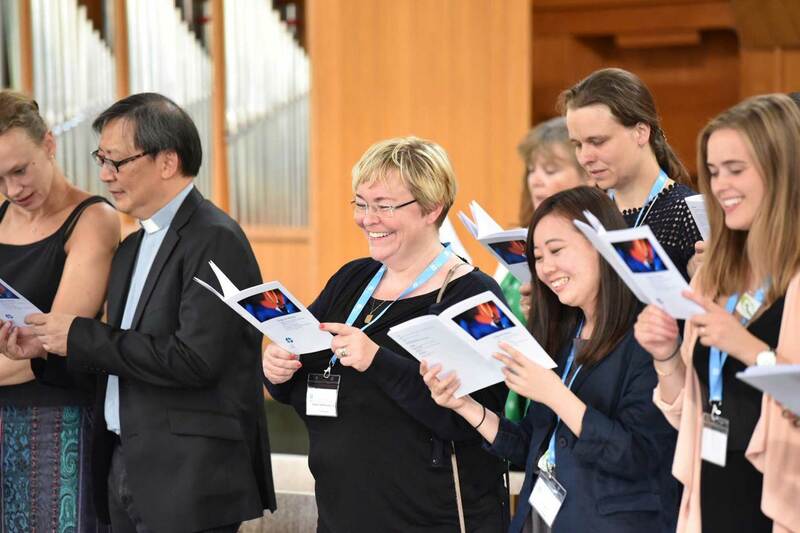 (LWI) - A warm and joyful Eucharist service marked the opening of the Lutheran World Federation 2018 Council meeting this morning. 48 Council members from LWF member churches, advisors, consultants and ecumenical guests take part in the meeting which gathers under the theme “Freely you have received, freely give” (Matthew 10:8, NIV). The opening service was led by Council member Cheryl Philip, Evangelical Lutheran Church in America, Rev. Yonas Yigezu Dibisi, of the Evangelical Lutheran Church Mekane Yesus, Ethiopia, preached on Matthew 10:2-8, and Rev. Karla Steilmann, Evangelical Church of the River Plate, Argentina, officiated at the Eucharist. 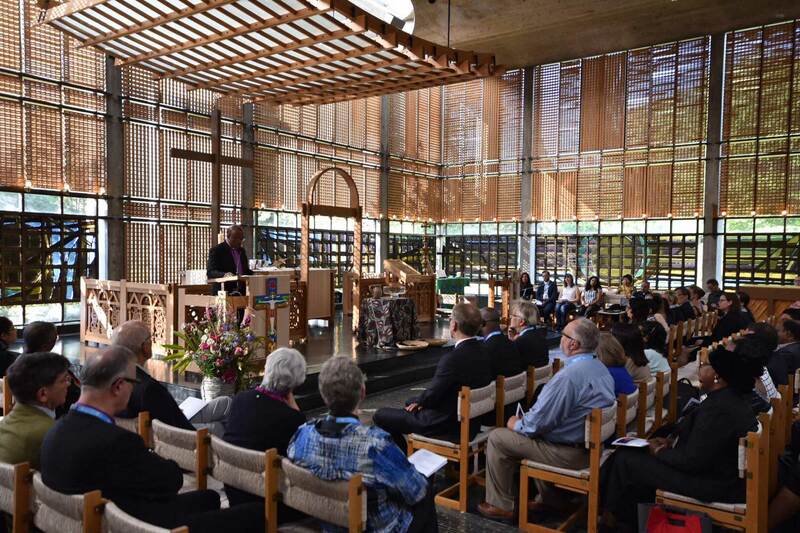 The meeting of the Council is held in the Ecumenical Centre in the Geneva and the chapel hosted the opening worship of the Council. The opening worship was a joyful occasion with participants from churches in the seven regions of the LWF. Rev. 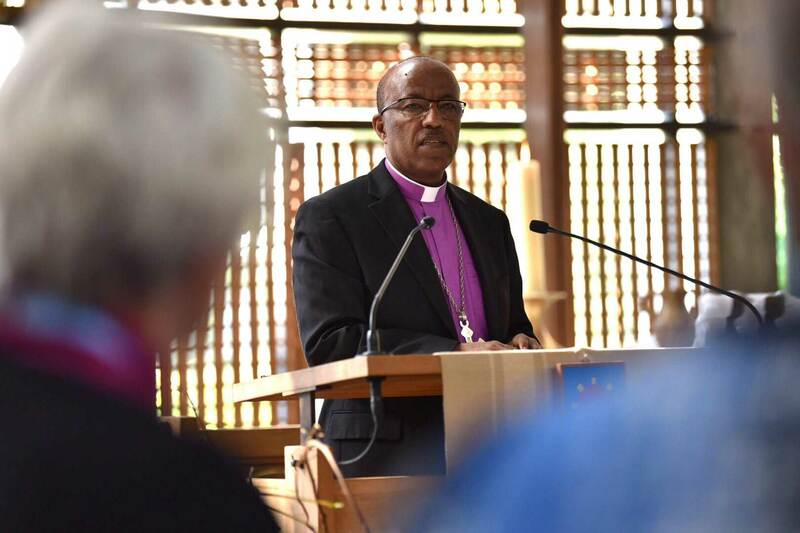 Yonas Yigezu Dibisi, of the Evangelical Lutheran Church Mekane Yesus, Ethiopia, preached at the opening worship of Council 2018. In his sermon on the Council theme, “Freely you have received, freely give” (Matthew 10:8), Rev. Yonas Yigezu Dibisi, of the Evangelical Lutheran Church Mekane Yesus, Ethiopia, said the text lays out what it means to be disciples of Jesus Christ and what it means to be church. “Our motivation, our energy and our dedication come from the recognition of the gifts we have freely and abundantly received,” he said. 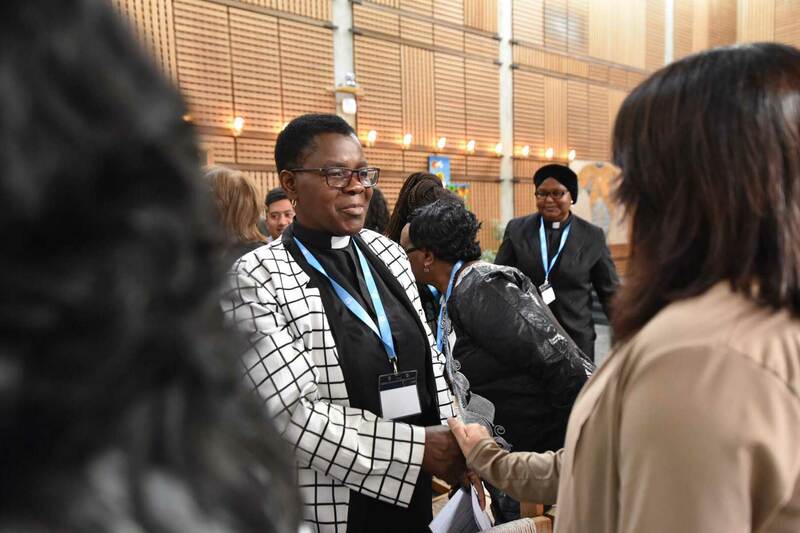 Worshippers offering one another words of peace during the opening worship of the LWF Council 2018. Rev. 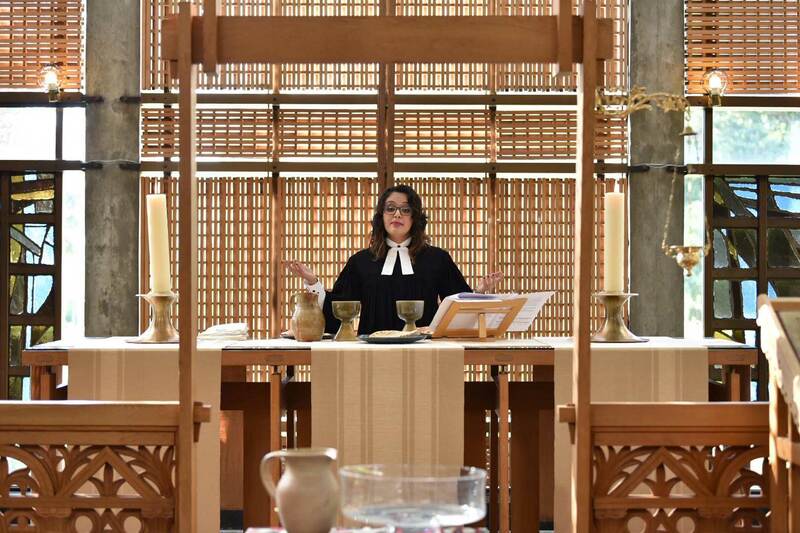 Karla Steilmann, Evangelical Church of the River Plate, Argentina, officiated at the Eucharist.